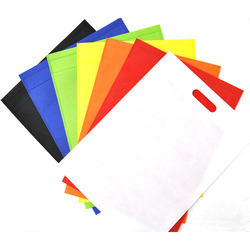 We are manufacture Supplier of Printed Non Woven D Cut Bags , loop Handel, in A grade matirials in single, two four color(multi color) offset print. we can supply nonwoven sheet for stiching bag. in non-lemineted lemineted , 1, 2, 4 color print.